Construction defect mass-actions: With Arizona construction law, homeowners have eight years to sue the builder for latent defects discovered in the home. These defects are far reaching but are often the product of deficient construction. These homes often show signs of resultant damages as a result of the deficient construction. For example, continuous water damage from a poorly installed window will show signs of water damage below the window. Thus, the window installer’s insurance company will pay to resolve this dispute. 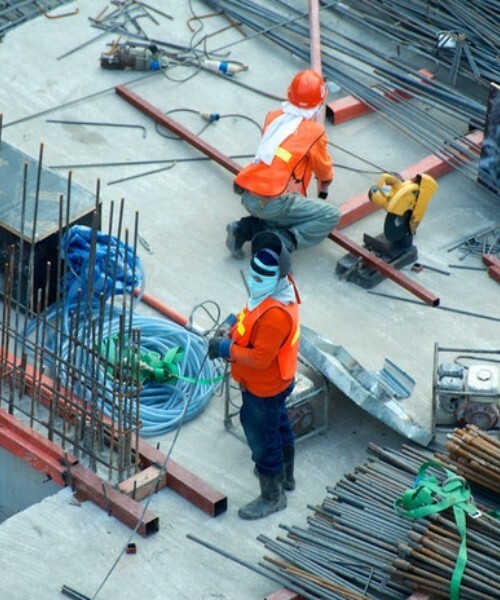 Knowing the interplay between construction and insurance companies is critical to successfully and quickly resolving a construction defect dispute. If you wish to speak with a construction defect attorney, please call us today! Construction delay actions: Construction schedules are very exacting. The general contractor hires a framer for two days. After those two days are up, the framer has booked itself for other jobs. However, in many cases, construction gets delayed. As a result, the framers cannot come back to your project for weeks or, in some cases months. As a result, lawsuits often arise as a result of certain delays to the construction project. Indeed, in many cases, the parties point fingers and assign blame. However, wise counsel will see through these games to provide you with guidance and help you through these disputes. Wrongful lien and lis pendes filings: With construction law in Arizona, a contractor may not file a lien against a property that it knows to be invalid. In fact, a contractor faces a $5,000 fine or three times the actual damages for filing a wrongful lien. A lien is wrongful if the owner knew it was invalid or groundless at the time it filed the lien. For example, if the contractor failed to deliver a 20-day preliminary lien notice, then the lien is invalid pursuant to A.R.S. 33-992.01. Thus, if the contractor files a lien without delivering a 20 day preliminary lien notice, then by statute, the lien is invalid and the contractor will have to pay contract and attorneys fees for filing an invalid lien. Scope of work disputes: The registrar of contractors requires that contractors define its work with reasonable particularity. If contractor fail to do this, then they may get in a dispute with the customer over the scope of work. In fact, the contractor may also lose a breach of contract / collection case if it failed to define what work it is doing in the first instance. Thus, it’s important for contractors to provide a detailed and itemized list of what they are doing. That way, the contractor may make specific reference to what it agreed to do, and what it did not agree to do. Registrar of contractor complaints: The Registrar of Contractors handles complaints against construction companies. Sometimes, the complaint is as simple as the ROC number does not appear on the contractor’s advertisements, emails, and so on in violation of Arizona law. Other times, the contractor’s work is deficient, resulting in a workmanship complaint. Importantly, an owner-occupant of a home may make a claim against the Registrar of Contractors recovery fund and against the contractor’s bond if they are an injured person as defined by statute and if they have workmanship issues related to the property. The requirement to obtain a contractor’s bond are somewhat technical and cumbersome. Having an attorney help you through this process is recommended.